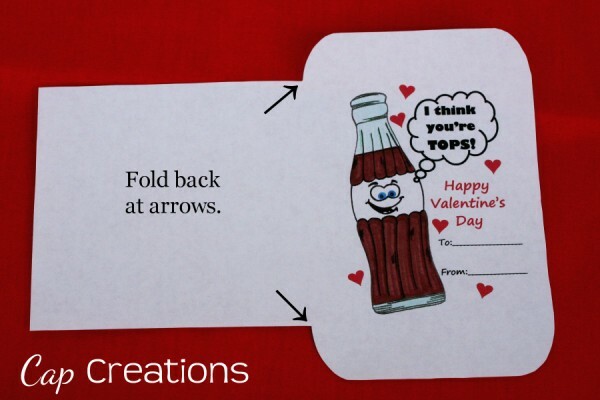 Here's a fantastic idea for a valentine for your kiddo's classmates! This adorable pop bottle was illustrated by my wonderful husband. 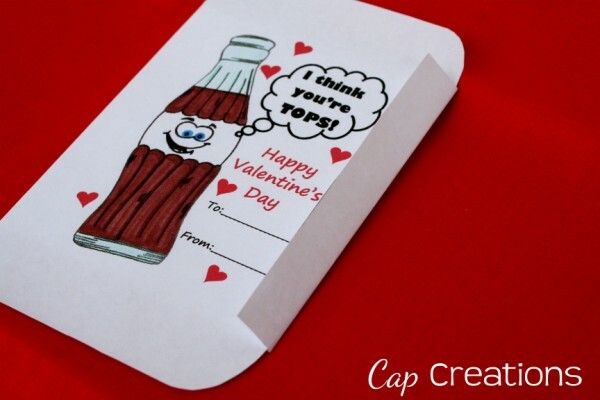 I took his drawing and transformed it into a Valentine envelope that reads "I think you're tops!" and "Happy Valentine's Day". And a to and from for you to fill in. 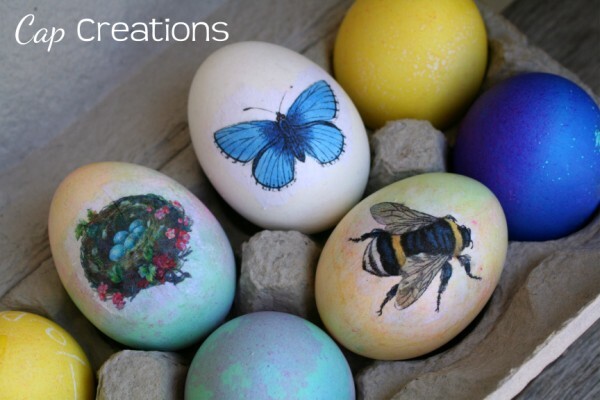 We did these last year for my son's 1st grade class and they were an absolute hit! Classmates got the necklace and teacher the magnets. And everyone loved them! 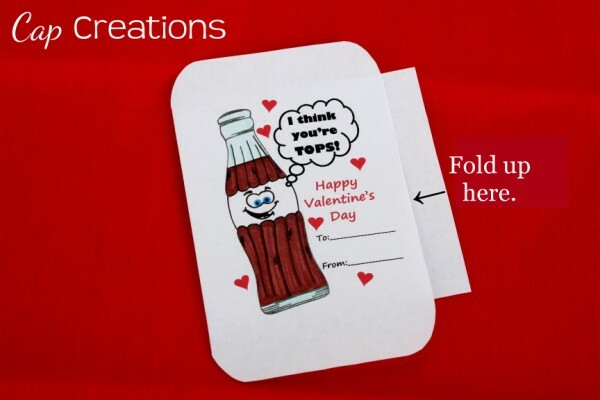 Print our Valentine envelope HERE. Print on regular 8.5x11 paper. Cut around the edge. Cut inside the outline so that no black is left. Next you need to fold back the big tab where the arrows show below. You will now have something that looks like the photo below. Fold the flap that sticks out, upward. Again where the arrow is showing in photo below. Now you have this. Tuck that flap under the top layer. 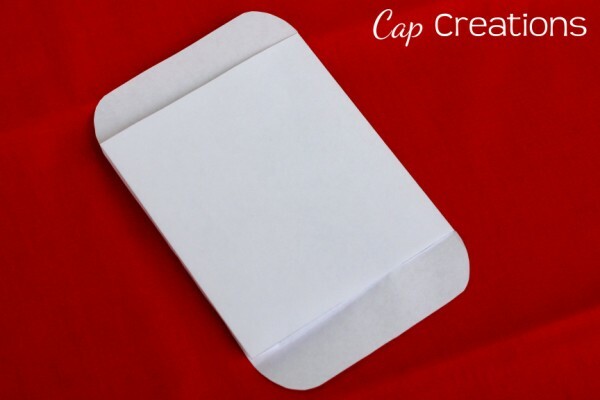 Run a glue stick across the under flap and attach to top layer. When you flip it over it should look like this. 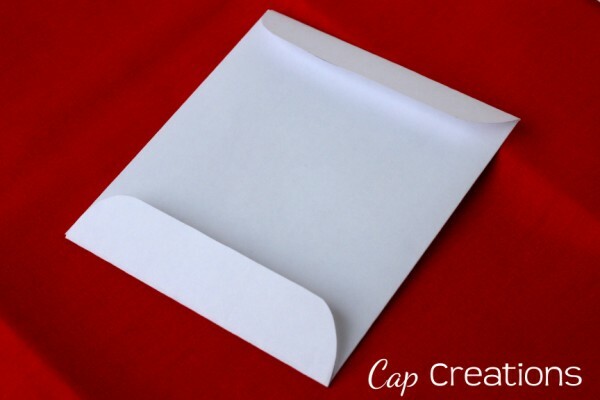 Simply fold the top and bottom flaps. Add glue stick to the bottom flap and leave the top open for stuffing. 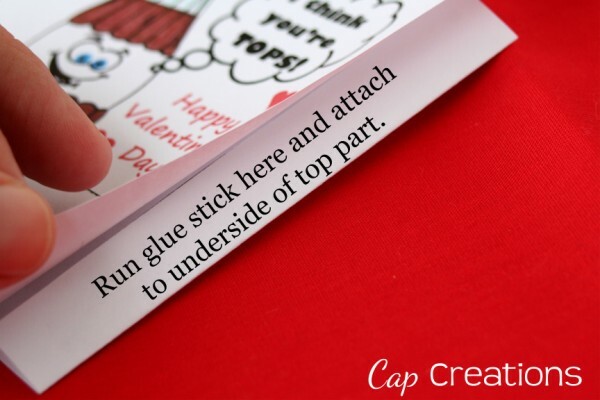 You can either glue stick the top after stuffing or use a cute Valentine sticker to close that flap. 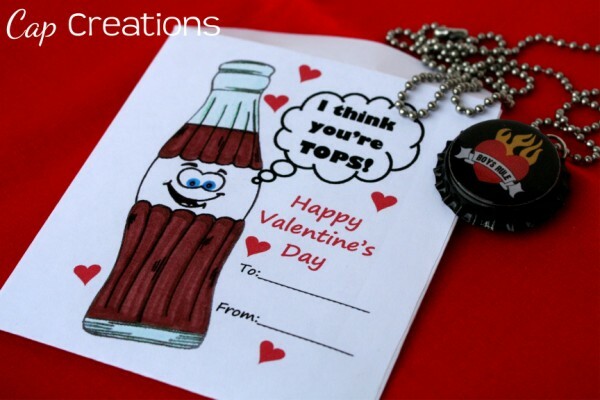 Now go check out our bottle cap necklace tutorial and bottle cap magnet tutorial to complete your Valentine. These are sure to be a hit! The bottle cap in our photo was done with our ink jet printer using the same method as our magnet tutorial. 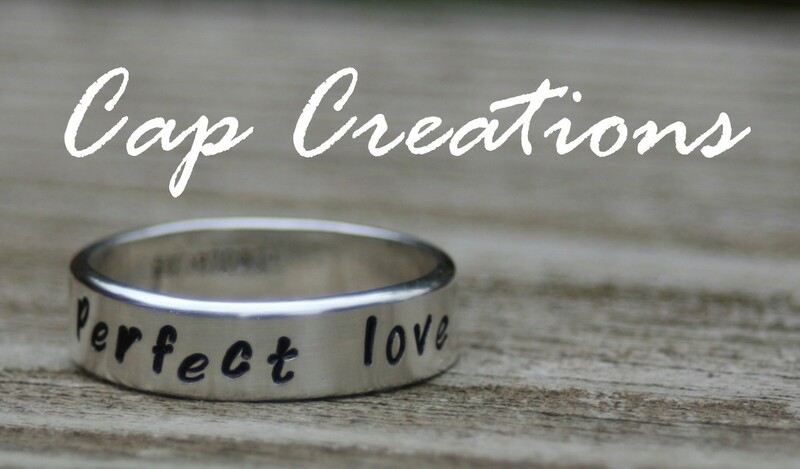 That bottle cap art in the photo is available at Blessed by Designs.